Get your advance tickets now for only $10. $15 at the door. 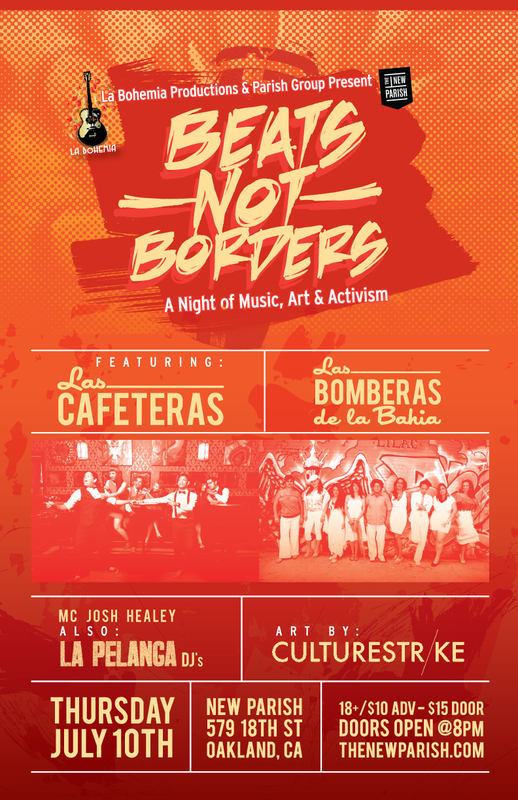 La Pelanga are teaming up with Las Cafeteras, Las Bomberas de la Bahia, and Culture Strike to bring you: BEATS not BORDERS, an evening of dignity, art, and activism that transcends borders in the Bay Area. We have a great lineup of acts, artist, and organizations that have come together to create a harmonious space of love, justice, music and dance.